This week’s Fresh Choice blog article comes from Guest Blogger, Maddy Bellcroft – Find Maddy on Facebook. I have very fond memories of trips in the hills with my family this time of year, on reaching a mountain hut I would be rewarded with a steaming hot bowl of 2 minute noodles. These days the range of noodles at Fresh Choice Nelson extends far beyond quick and easy tramping snacks, here are a few that are worth checking out. Kelp noodles – These raw noodles are made from sodium alginate (extracted from kelp) and water, they are gluten free, fat free and very low carb. Their crunchy texture makes them fantastic in salads. Zero Konjac Noodles – the ‘zero net calorie’ noodle, made from the root of the Konjac plant, these noodles consist of soluble dietary fibre and take on the flavour of the sauce you use. Organic noodle Kitchens beetroot noodles- these have fantastic colour they also have some other creative flavours that look great on the plate. Rice noodles – these range from the thick Pad Thai style noodle to the thinner vermicelli. After cooking cool down under running cold water straight away to stop them going overly soft. Make an Asian noodle salad by combining your favourite noodles with thinly sliced red pepper, broccoli, carrot, zucchini and squares of cooked tofu and bean sprouts. In a jar combine 1 tbsp peanut butter, 2 tbsp sweet chilli sauce, 1 tsp tamari, 1 tbsp lime juice and 2 tbsp sesame seeds, mix well then pour over salad. This can be served hot or cold. 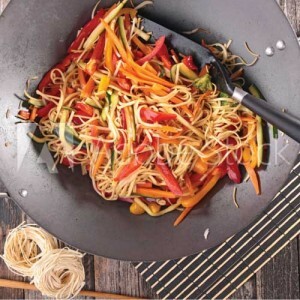 Add your favourite noodle to a wok of sweet and sour stir fry, use as a base in your favourite Tom Yum or Pad Thai recipe or break into smaller pieces and use in minestrone or veggie soup. There are many other delicious types of noodles in store at Fresh Choice, so come on in and embrace the autumn weather with some fantastic noodle creations for dinner. This week the Grocer’s blog post comes from our beer aficionado, Denis Cooper. Exciting times for brewers and brew imbibers alike! Along with the done-and-dusted St Patricks Day and Marchfest; the Nelson hop harvest currently under way, and the soon-to-be-accomplished “Great Kiwi Beer Festival” in Christchurch, there is a bit of malt madness in March. And squeezed in the middle is Easter where one of the most bizarre days of the year occurs: a day where everything is shut with nothing to do, and everything on the shelves gets one day older. It’s called Good Friday, go figure? ‘Ronin’ is perhaps one of the better tasting Pilsners below 5% out there. Here you have everything you would expect from a flavoursome Pils. It’s got that inimitable character with a crisp, clean taste, tingly effervescence and a bite-of-a-lime finish. ‘Black Stallion Milk Stout’ has a robust body with easy caramel and liquorice tones nourished with scorched roasted malts. Leaving it to warm will bring out its milky smoothness from the lactose sugars. A lot of stout for 5%. ‘Storm Hopper APA’ has a thunderous dark berry hop aroma and tastes just like it smells. Dark berries with melon and tangelos and a bitterness from start to lingering finish. Bigger than its 5.7% might suggest, which is good as you might be able to sneak in another bottle without getting into too much trouble? 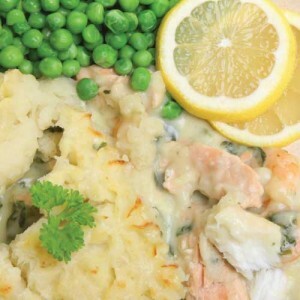 This brew is most excellent with Sealord’s new “Salmon Cakes with Cheese Sauce” selected from the deep-freeze at The Grocer – FreshChoice, Nelson. Keep browsing the Grocer’s fridge for the soon-to-be released Horsebox ‘Vigilante’, a New Zealand IPA that promises bold bitterness, woo hoo! 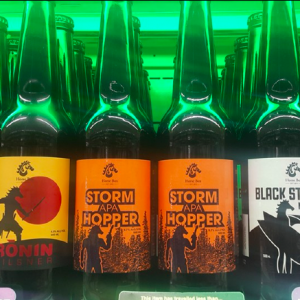 See me @ Fresh Choice this Thursday from 3–6 pm for some exciting Easter elixir taste-teasers in the shape of stout stouts. Gallop down to the Grocer but no horsing around ’cause it ain’t open Friday! 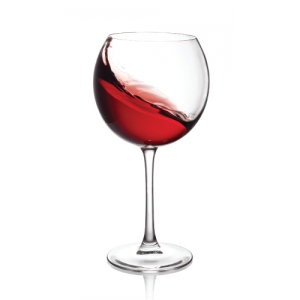 It’s the latest article from our Fresh Choice Nelson guest blogger, Neil Hodgson, this week Neil is talking Pinot Noir. Pinot Noir is one wine variety that when she gets her delicate claws into you she can become your sultry mistress. She can be beautiful, fruity, elegant, beguiling, and most definitely complex and always intriguing. Pinot Noir is a lighter style red wine compared to deep, rich wines like Syrah and Cabernet Sauvignon but it can be packed with beautiful flavours and textures when it is well made, and there are plenty of fantastic examples being made in Nelson and other regions of New Zealand. Pinot Noir can be a floral, fruity wine and when the really good winemakers weave their magic and use just the right amount of oak fermentation and maturation to add layers of complexity to the flavours that is when the variety gets really interesting. Flavours can range from red cherry characters to dark cherry and dark berry fruits; floral characters of violets add to the attractiveness, then add winemaking complexity and spiced toasty oak characters come in to play. If you want to be beguiled by a wine variety then Fresh Choice Nelson has a great range in store, from the easy drinking yet flavoursome 2013 Naked Vines Pinot Noir for just $14.99 to a number of premium wines. I think the smart money is the Brightwater Vineyards 2103 Pinot Noir for $21.99, from the same producer whose 2014 version was the trophy winning Pinot Noir at the Air New Zealand Wine Awards. And some of New Zealand’s very best Pinot Noirs are being made right here in Nelson. Neudorf Vineyards have been a flag bearer for the variety for many years but in recent time Brightwater Vineyards have been awarded nine gold medals and a Best Pinot Noir in Show Trophy. You don’t have to look very far to find world class pinot noirs, they are right on your doorstep at Fresh Choice Nelson. If you have wandered down the cracker aisle lately at Fresh Choice Nelson supermarket, you may have noticed the wonderful array of flavours and styles available. I have a few favourites that help to make snack time more enjoyable. Breadman gluten free crunchy corn crackers, these delightfully dense crackers often replace bread in my lunchbox, they taste great and are super filling. Top with Pic’s almond or cashew butter, slices of banana and toasted coconut. Dovedale horipito multiseed crackers, gluten free, crunchy and full of goodness with a lovely peppery bite from the native horipito plant. Thinly spread Urban Hippies misomite, followed with a layer of Chantal unhulled tahini, slices of avocado and cherry tomatoes. Ceres make two of my favourite rice crackers which are perfect to take to a party, try their green tea and seaweed brown rice crackers and their black rice crackers. Both are delicious dipped into the Just Hummus beetroot flavour. Not a cracker… But one of my old favourites is nori. Tear or cut into four pieces, top with hummus, lettuce, gherkins and red pepper. Real foods organic sesame corn thins, topped with bean sprouts and the following recipe for parsley pesto. All the ingredients can be found at Fresh Choice Nelson supermarket. Roughly chop the parsley. Grind the sunflower seeds in the food processor then add parsley, oil, nutritional yeast and garlic and blend well. Mix in the juice of 1 lemon, taste and season. If the mixture is too dry you can add extra oil or a dash of water until it comes together. This blog and recipe was written by Fresh Choice Nelson Supermarket Guest Blogger, Maddy Bellcroft – Find Maddy on Facebook. 3 reasons to buy organic foods! 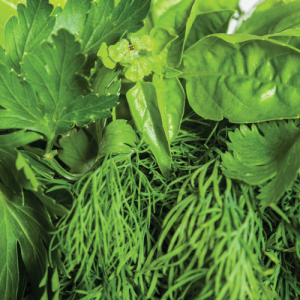 Organic foods are a big part of what we offer you at your local supermarket, Fresh Choice Nelson. We want you to be able to eat well, eat local and eat organic. The term “organic” refers to the way agricultural products are grown and processed. Specific requirements must be met and maintained in order for products to be labeled as such. Crops must be grown in safe soil, have no modifications, and must remain separate from conventional products. Farmers are not allowed to use synthetic pesticides, bioengineered genes (GMOs), petroleum-based fertilizers, and sewage sludge-based fertilizers. 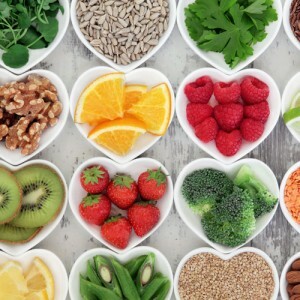 If you’re not sure how eating organic foods can be beneficial read on… Here are our top 3 reasons to buy organic foods! It tastes great! – Pure and simple…. Most organic food simply tastes better than its pesticide-grown counterparts. Call in to Fresh Choice Nelson and check out our organic range, it’s all around the store but clearly identified by its labelling, and our super friendly staff can always help you out! This week’s blog post comes from our beer aficionado, Denis Cooper. Denis is talking German beers. Back from my holiday which is great as I only need two six-month holidays every year. I enjoyed my escape from civilisation but the whole time away I ailed for a decent ale. Note to self, never underestimate the comforts of home (reads: how good the beer is in Nelson). After my brief sojourn it was great to come back to see what new crafts have been brewing in the craft brewing industry. Grabbing my immediate addiction is a newly created craft brewer from Wellington called Tiamana. Tiamana (Maori for German) is a one-woman company who specialises in brewing classic German-style beers. She brews four main styles, all of which are totally quaffable whilst burning a few wieners on these hot summer nights. First off for a thirst quenching appetiser is “Pilski”‘ a Berliner Pilsner, 5.6%. An enjoyable easy drinking pils with a herbal, slightly minty refreshing zing. A more malt-forward example for a pilsner, results in a sweeter note than most but still a wunderkind brewski. A lager but not as we know it is “Kreuzberg”. It’s a traditional schwarzbier or German dark lager. This 5.3%er is brewed with dark malts, giving it the aroma and appearance of a stout but retains the light body and clean crispness of a lager albeit mixed with coffee and cola. Very refreshing and adds a new flavour dimension for all the lager louts out there. “Witzig” Lemongrass Witbier, 5.1%, is a wheat beer with the characteristic big foamy white head and cloudy liquid appearance. The taste is true to form, that of coriander and lemongrass with a very high effervescence, combines to a prickly but very refreshing back of the mouth experience. You could food pair as a sauerkraut dressing but probably better with fried rice. And for after dinner is “Old Fritze”, a 7.5% Doppelbock that is a perfect couch sinker. 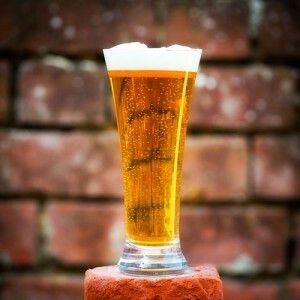 It’s rich, complex, and as smooth as the top of my head, yet still amazingly, a lager! It oozes sweet malt flavours and is like drinking liquid brandy snaps.